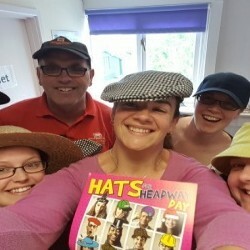 Hats for Headway Day takes place during Action for Brain Injury Week on Friday 12th May 2017 and is a simple, fun, and easy way to raise money for brain injury survivors around the UK. 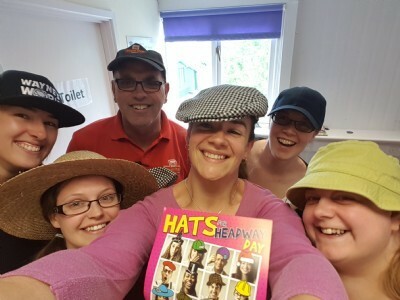 All you have to do to get involved is wear a wacky hat, donate £1 to Headway and post a picture on Facebook, Twitter or Instagram using the hashtag #HatsForHeadway to enter our competition! The prizes up for grabs in this year's competition are a Nescafe Dolce Gusto Piccolo coffee machine for best individual photo and a free full page advert in Headway News for best corporate group photo! To easily donate text 'HEAD01 £1' to 70070 to make your Hats For Headway donation.